Sean Logan is a Founding Member and the CEO at LRS Federal LLC. Mr. Logan is a graduate of the United States Naval Academy, a former officer of US Marines and a successful attorney and business consultant with more than twenty years of Semper Fi leadership. With considerable expertise in business, contracting, and the financial, real estate and insurance industries, he has acted as the Trustee for over 18,000 Bankruptcy Estates and served at the pleasure of the Court as Receiver in real estate, insurance and corporate insolvencies and other turn-around and rehabilitation appointments. He has successfully liquidated construction companies, retail businesses, insurance companies, captives, and off shore businesses, returning ten of millions of dollars to the Creditors and Equity holders. Mr. Logan’s expertise in unraveling complicated transactional situations involving financial, legal and risk management challenges has allowed successful understanding and resolution in otherwise unfathomable business transactions. This experience provides the basis for his project and risk management expertise and business management acumen for continuing to grow LRS Federal as a multi-disciplined professional services company. As the CEO of LRS Federal, Mr. Logan provides leadership and direction of the company as a whole. He is responsible for business development and establishing the overall corporate direction including long range planning, client management, and marketing. Mr. Logan has served as an Officer of Marines leading Infantry Platoons and Companies and has served as Legal Officer for an Infantry Battalion. He possessed a Top Secret Security Clearance and served as an aid-de-camp for General P. K. Van Riper. 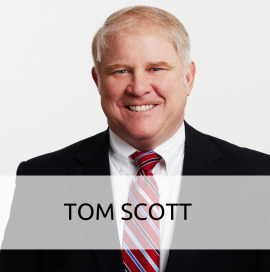 One of the architects and pioneers of the federal government’s Guaranteed Fixed Price Remediation (GFPR) Program, Mr. Scott was responsible for winning and/or managing more than $300M of GFPR projects. He also possesses specialized training and expertise in program/project management, cost and schedule control, training program development, quality assurance, health and safety laws and practices, construction law and dispute resolution, contract management, nuclear safety and procedures program development. Ms. Palmer has provided program/project management for some of LRS Federal’s largest contracts and brings expertise in environmental field operations and construction management services. She has managed projects for multiple federal agencies including U.S. Army Corps of Engineers, Department of Homeland Security, U.S. Air Force, and the Federal Deposit Insurance Corporation. Her projects have included work in 45 different states and she has worked with environmental regulators in virtually every EPA region. Under her project leadership, LRS Federal was awarded the Department of Homeland Security’s 2011 Small Business Achievement Award. Ms. Palmer currently leads many of LRS Federal’s proposal efforts as well as LRS Federal’s business management department with responsibility for human resources and accounting. As a corporate officer, she has broad authority and responsibility for managing corporate assets to ensure that our projects are delivered in a cost-effective and reliable manner for each of our customers. Ms. Palmer earned a Masters of Business Administration (MBA) graduate degree and an Anthropology undergraduate degree. Mr. Holsinger is a licensed professional engineer with more than 25 years of engineering and environmental experience with the private sector and government. Mr. Holsinger began his career in the oil and gas industry overseeing drilling and well completion activities for a major independent oil company. His government experience includes environmental compliance and remediation efforts for both the Army and Air Force. He successfully implemented programs designed to gain efficiencies and effectiveness with respect to environmental cleanup efforts, and received official commendations from both services for his efforts. Since leaving the government in 2006, Mr. Holsinger has led both operational and business development activities supporting various federal clients. His program and project management experience includes environmental compliance, environmental remediation, and information management systems implementation for federal clients. Mr. Holsinger holds a master’s degree in environmental engineering and a bachelor’s degree in petroleum engineering.